We stayed in the Akkotel for five nights. We had a family room, which was not enormous, but seemed larger because the kids had a mezzanine floor (which they loved), with a ceiling too low for adults. The hotel was very quiet while we were there, which meant that we often got our own personal buffet breakfast, with no request too much trouble for our lovely hosts. The hotel is built into the walls of the old town, which makes it a fantastic location for seeing anything you would like to see in the old town. Akko is also a good base for northern Israel, if you have hired a car (we saw Haifa, Rosh Hanikrah and Meggido from here). 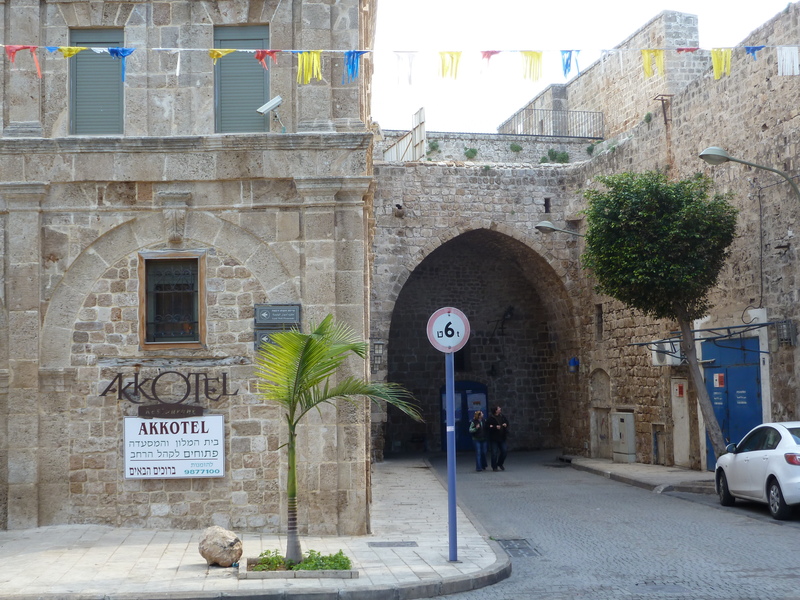 Very few people seem to stay overnight in Akko, but this hotel makes it worth it!